We are snackers. I just can't help it. Being that I am nursing my baby, I find that I am always looking for something to munch on. My children love to snack as well and I am constantly looking for healthy snacking options for them. Of course they love candy but I know there are better options for them. We don't struggle with food allergies around here but I know plenty of people who do and having snacks for them when they come to visit is helpful as well. For those of you who struggle with gluten free diets or other special concerns diet related, I know it can be hard to find snacks that don't taste like cardboard and I am always on the lookout for snacks that you will love too! We created Simply7 because of a distressing trend we noticed in our local grocery stores: food made with ingredients that most people don’t recognize and can’t even pronounce. Go to your pantry and see if your favorite products pass this test: Can you name the natural source of each ingredient? Do you know what you are really eating? Can you pronounce the ingredients on the label? I don’t have a place in my pantry for healthy products that taste like cardboard, so I don’t expect you to have to sacrifice taste either. Simply7 Snacks makes four types of chips in different flavors. They have Hummus Chips, Quinoa Chips, Lentil Chips and Pomegranate Chips. So, for this review I was sent a case of the Quinoa Chips! I had never heard of chips made out of Quinoa so I knew this would be interesting. I was very excited to try out these snacks and was even more excited to share them with my gluten-free friends! The Quinoa Chips come in four flavors: Barbeque, Sea Salt, Sour Cream & Onion and Cheddar. As soon as these snacks arrived, we just HAD to try them. These chips are crispy, crunchy and VERY tasty. I was really surprised at the great flavor. I definitely wasn't expecting them to be as good as they are. Now, I knew I loved them, but what about my children? Well, the pictures above show just one of my children but they ALL loved these chips. :) My youngest son loves to pick out a flavor and his favorite seems to be Cheddar Quinoa Chips. I personally love the Cheddar as well. The other thing that I love is that while these chips are seasoned, they aren't heavily seasoned so you get a good flavor but not overwhelming. We can easily polish off a bag of these chips in one sitting. BUT, even though we eat alot of them, I know we are eating something healthy and guilt-free. Disclaimer: I received no monetary compensation for this post. 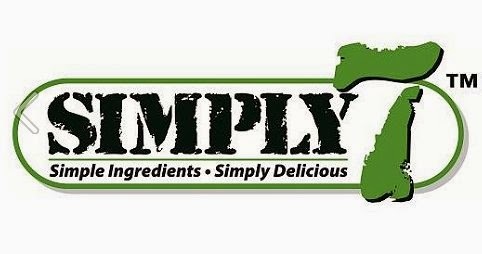 I did receive free Simply7 Snacks for review purposes. All quotes and stock photos are from the Simply7 Snacks website and email. Prize is being provided and shipped by the sponsor. This blog is not responsible for lost, stolen or damaged prizes. All thoughts and opinions are 100% mine. I'd like to try the BBQ flavored chips. I would like to try the quinoa barbecue chips. I like that they are vegan. I would like to try the lentil bruschetta chips. I am most interested in trying the spicy chili pepper variety. Sour Cream & Onion for me! I would love to try the sea salt pomegranate chips, they sound pretty good to me. Thanks. I would like to try them all but for now the Hummus spicy chili peppers sound very good to me. SPICY CHILI PEPPER flavor sounds like it would be delicious. I would love to win and try the tomato basil chips..yumyy! Thanks for the giveaway! I'd try the quinoa barbecue chips! Oh boy I'd have to try the Hummus Chips Spicy Chili Pepper flavor. The Quinoa BBQ flavor would be divine! The Quinoa sea salt would be tasty. Thanks! The Quinoa bbq sounds great!! The barbecue quiona chips sound yummy. I want to try the White Cheddar Pomegranate Chips. The Pomeganate Black Pepper sounds good! I would love to try the sea salt pomegranate! the sour cream and onion quinoa chips for sure. I'd like to try the hummus sea salt. The Creamy Dill Lentil chips sound delicious and interesting! I'd like to try the different Pomegranate Chips. I would like to try the chilli pepper flavor. Thanks! I would love to try the Quinoa Cheddar Chips first. I'd like to try the Spicy Chili Hummus chips. I would like to try the Pomegranate Black Pepper. Creamy Dill. They just look really different than anything else out there.